d a n i e l l e b u r k l e o : 39 weeks… and then some. 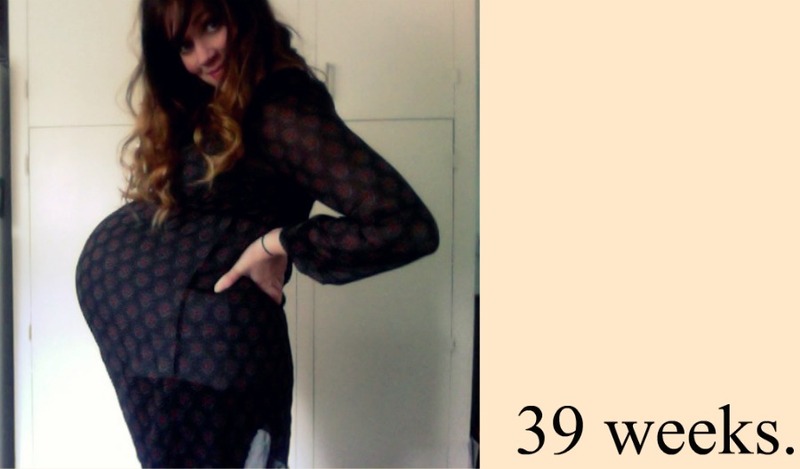 39 weeks… and then some. any thoughts i had about baby girl arriving early have swiftly marched out of my mind. and that little person on my shoulder keeps whispering LARGE and FULL TERM in my ear. so my life consists of waddling, peeing, waddling, and praying this girl makes her debut sooner rather than later. did i mention that my two other children were almost 11 pounds when born? prayers appreciated. mmmkay. on a different note, i have a lovely hat and scarf to show you all today. hannah, from whimsical creations & little words and little pictures, sent me these pretties. 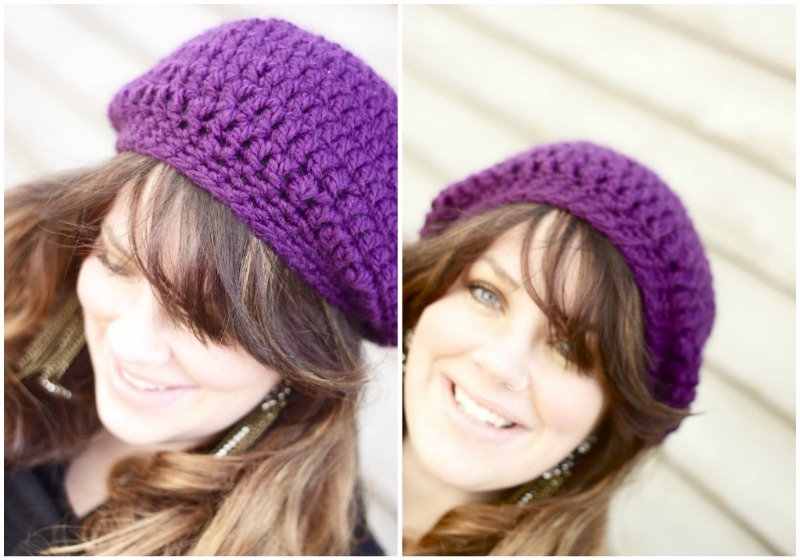 a chunky cowl neck scarf in oatmeal and a slouchy hat in eggplant. i couldn't love them more. and the fact that they fit me when i feel slightly like a beached whale also makes me giddy. they are both beautifully made, cozy, stylish, and keep a girl warm. when she said that this cowl is the snuggliest little thing you will ever lay you eyes on, she wasn't kidding. check out all of her beautiful items here. she makes headbands, too! apologizes in advance for anyone who sees the 10 months pregnant lady in velour sweatpants trying to "jog" around the park. you are so gorgeous. . .
man I died laughing at this... poor thing! Well at least you still look gorgeous. if you want a good laugh maybe cry I just posted about my delivery story of my baby boy. He turned one today so I was writing his story.Again you rocked that scarf and cowl!! 11lb babies?! WHOA! At first I was like, "no keep her in there..she'll come when she's good and fat"...but then sympathy set in and I realized she has that very plan in mind:) You are gorgeous...I love the hat on you! Very stylish! I hope she makes an appearance soon!!! PS I love your hair + your pretty scarf and hat!! Aw, you're so gorgeous! Hope to "meet" your girl soon. ;) & that scarf looks so cozy! cute hat. and cute belly. but sister needs to come out and say hi! my sister was 10lb14oz, and mama had her at home. y'all are my heroes! You are beautiful mama! Excited for your little lady to join your family soon-Praying for you! oh you just look beautiful!! BIg hugs, prayers and love and light to you momma! I cannot even imagine 11 lb babies! Our girl was 5lbs 13 ounces at 38 weeks! Sorry to comment three times! It never told me that my comment was accepted/ submitted, so I assumed it hadn't gone through. My bad! Ooh, you look cute in crocheted accessories. :D Thanks for sharing my shop and blog! You look so great! Just found your blog, it's beautiful. 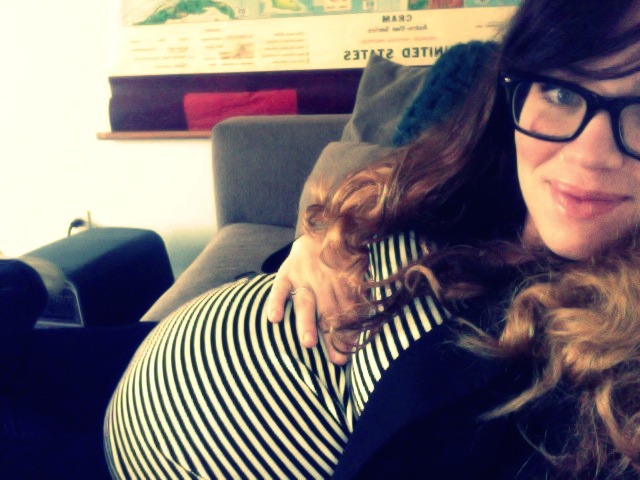 Good luck with these last days of carrying your little one inside you, you must be so ready to meet her! Girl, you are all baby. Now get her on out here to meet all of us! :) You look beautiful and Im drooling over that scarf! Praying for you pretty momma! And your hair is awesome!! !